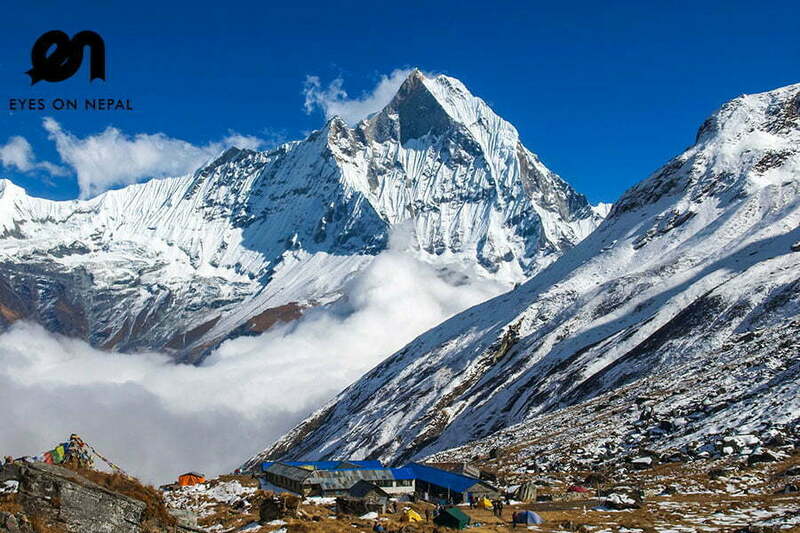 Annapurna Base Camp Trek is one of our best selling Nepal trekking packages, NOW price at only USD 499 full package. 2 to go anytime. 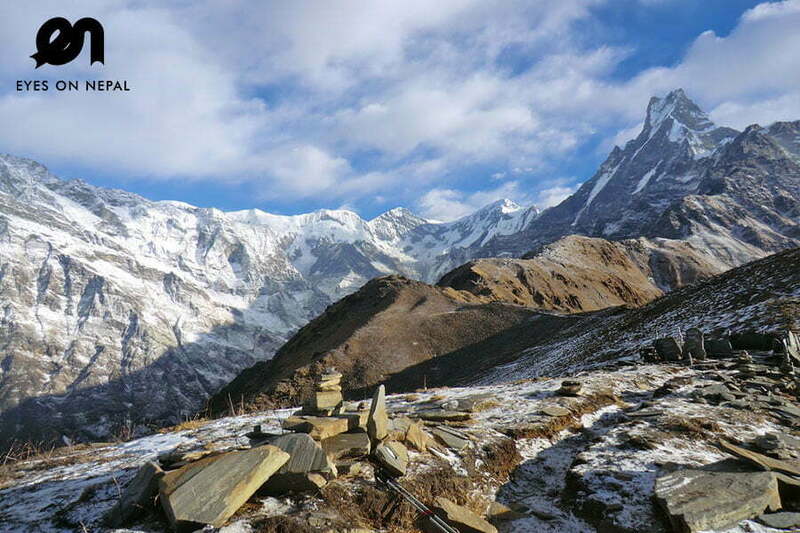 If you plan for “trekking in Nepal”, Annapurna Base Camp trek is one of the easiest and popular treks in Nepal. 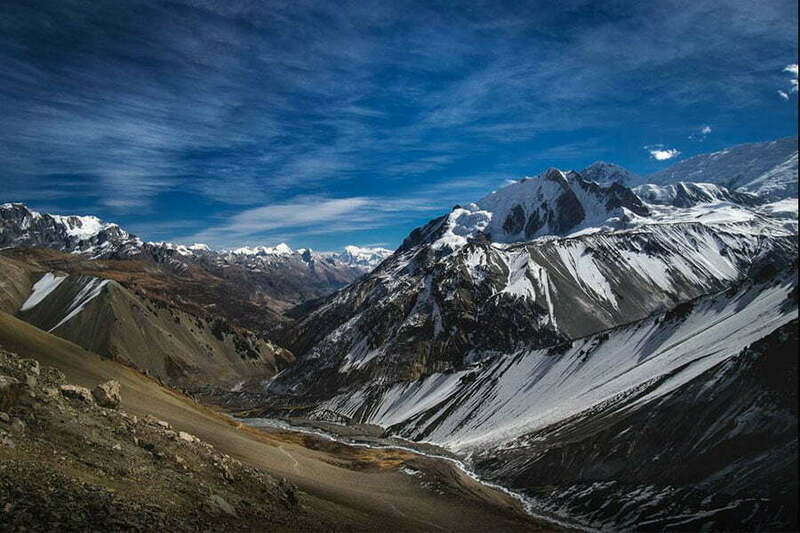 The trail takes you to the heart of Annapurna region, a unique opportunity to observe Annapurna Himalayan ranges. The maximum altitude reached is 4130m. 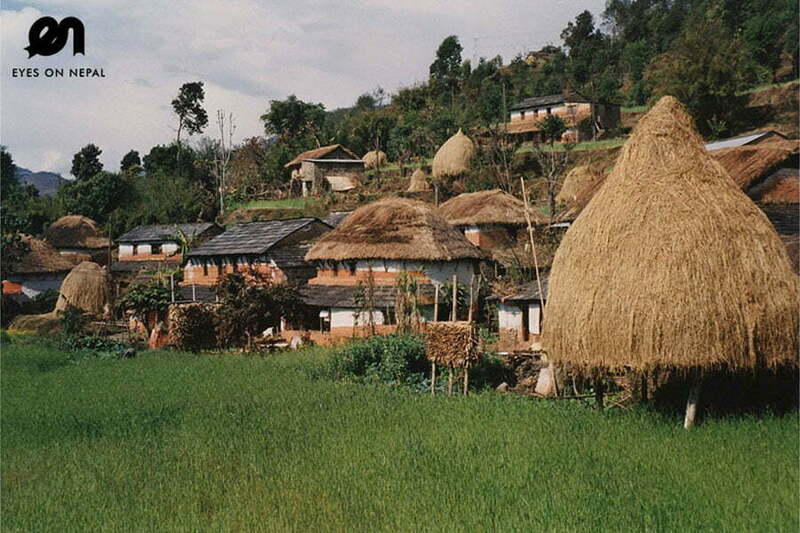 Other attractions of this trek include good hotel facilities, well maintained trails, hot spring, pristine wildlife and natural diversity, and unique Gurung culture. The trek is even suitable for travelers with normal physical fitness and belonging to any age group. Highlights: Rivers, Mountains view, roadside life of the local people. 09.30am: Arrive in Nayapol(1070m). NOTE: You will need to show your TIMS & Annapurna Conservation Project Permit at Birethanti(1025m). 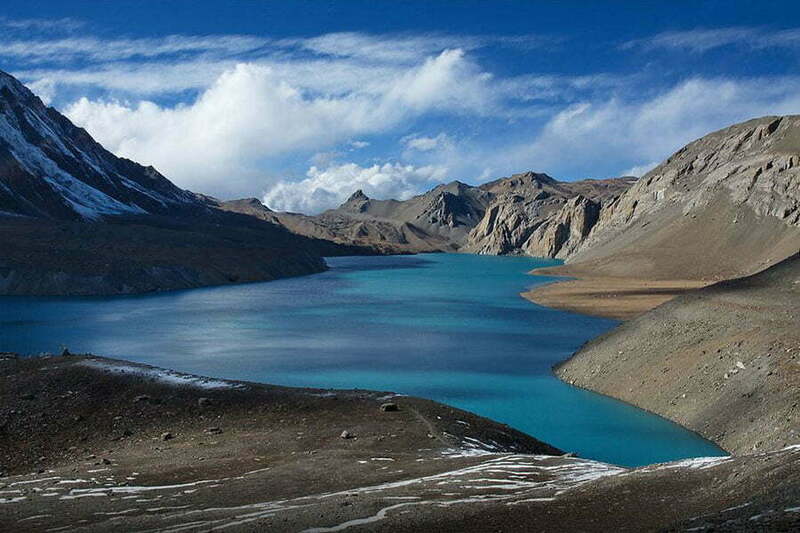 We will drive you to Siwai – the starting point of the trek. 11.00am: Arrive in Siwai. Start the trek to Kyumi (1340m) NOTE: 1 hour trek. 01.00pm: After lunch, continue the trek to Jhinu Danda(1780m). NOTE: The uphill trek will take 3 hours. 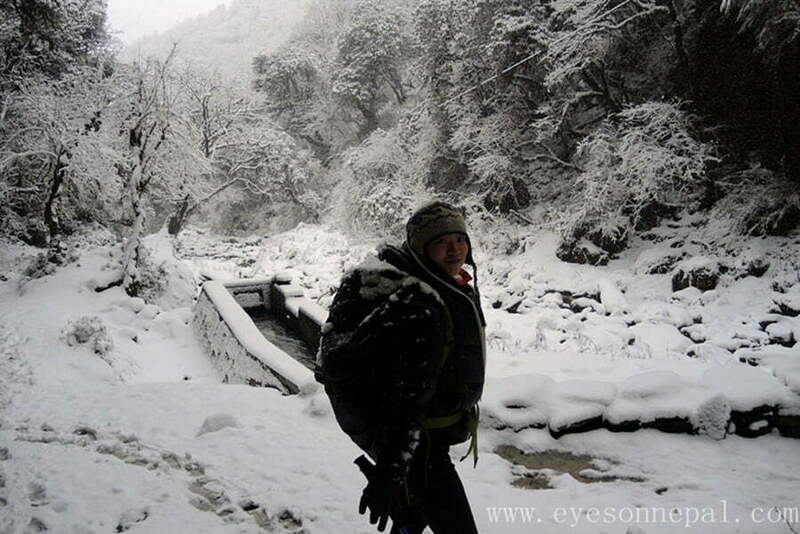 04.00pm: Arrive in Jhinu Danda, continue the trek to Chhromrong(2170m). NOTE: The uphill trek will take 1 hour. 05.00pm: Arrive in Chhromrong, check in hotel. Rest & Relax. Dinner in the hotel. 10.30am: Arrive In Lower Sinuwa and continue uphill trek to Upper Sinuwa(2360m) for 1 hour. NOTE: We see Fish Tail(Right), Gangapurna(Front), Himchuli(Left). 12.30pm: We continue our trek to (30 minutes normal trail, 1 hour downhill) Bamboo(2310m). NOTE: You will get to see animals and beautiful waterfalls. NOTE: During the trek from Upper Sinuwa to Bamboo, you will see be flowers/plantations like orchids & ferms. 02.00pm. We continue the trek to Deurali(3230m). Overnight in Deurali. NOTE: You get the same view as per in Chhromrong. Dinner in hotel. 11.30am: Lunch in Fish Tail Base Camp. NOTE: Magnificent view of entire Annapurna Range of Mountains and Hiunchuli, Tenpeak, Gangapurna and etc. 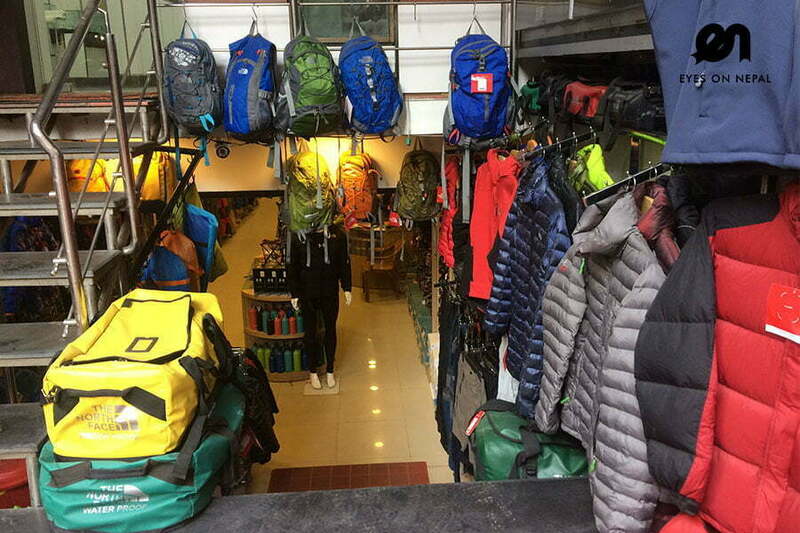 12.30pm: We continue the trek to ABC (Annapurna Base Camp). NOTE: Uphill trek for 3 hour. 08.00am: Breakfast. After breakfast, we start the trek to Kyumi (1340m) . NOTE:3 hours’trek.